Whatever your needs are, whether its sports specific, weight loss, building muscle mass, or core stability strengthening, we will work together with you to tailor a program to suit your individual needs and see that you get results. GET OUT OF YOUR COMFORT ZONE AND CONTACT US TODAY! 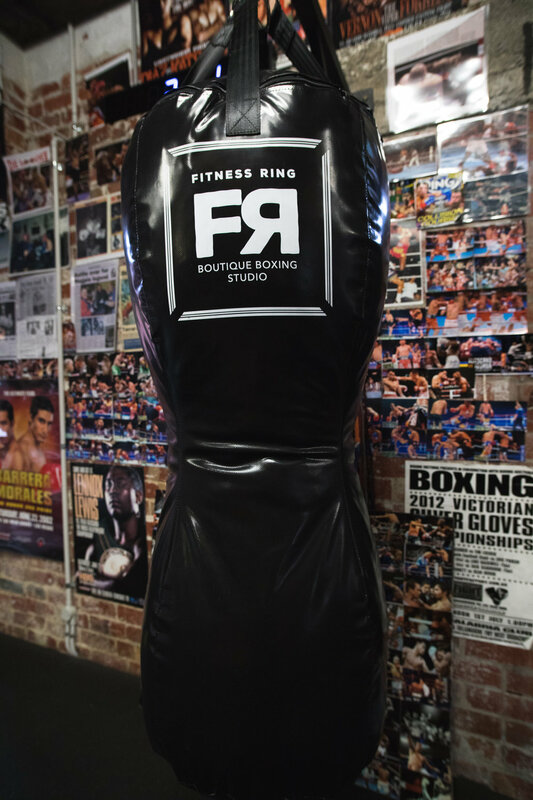 We invite you to our boutique boxing studio. Contact us today to discuss a tailor made personal training fitness program to help achieve your fitness goals. Our coaching style is firm but friendly. So don’t hold back, book your private personalized session today. If you can't make it to the studio due to a busy schedule, travel, or any other reason, our trainers can give you a personalized session via Skype. All you need is a WIFI connection to get started. At Fitness Ring we make it fun and easy for you to kick old habits and get into the ring. Less excuses, better routines, so you can work it out whatever your schedule. Personal Training Must be pre-paid in full. All single sessions are valid for 6 months after purchase date. All passes are non-transferable and non-refundable.